Silk - DoubleTake Design, Inc.
For his keynote speech at the Sustainable Brands conference, Craig Shiesley, President of Silk U.S. and Canada (WhiteWave Foods), wanted to bring his messages to life with a compelling visual presentation. Silk, as the leading plant-based foods and beverages brand, was launching a new effort to shift the current 2050 food trajectory by changing how food brands operate and how consumers think about food. We were honored to help make the important information in this presentation accessible through bold, simple infographics. 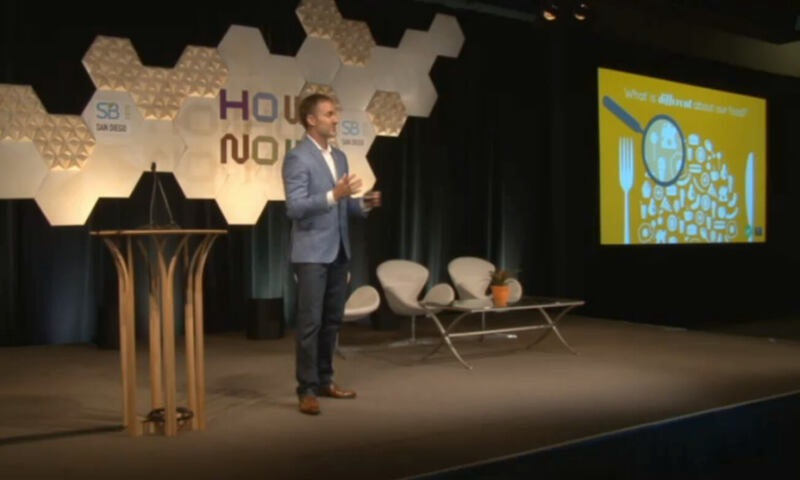 You can view Craig Shiesley’s presentation, “How to Galvanize an Entire Industry by Deepening System-level Understanding” on the Sustainable Brands site, here. Sample slides from a keynote speech at the Sustainable Brands conference by Craig Shiesley, President of US Silk and Canada, Whitewave Foods. You can view the full presentation on the Sustainable Brands site. 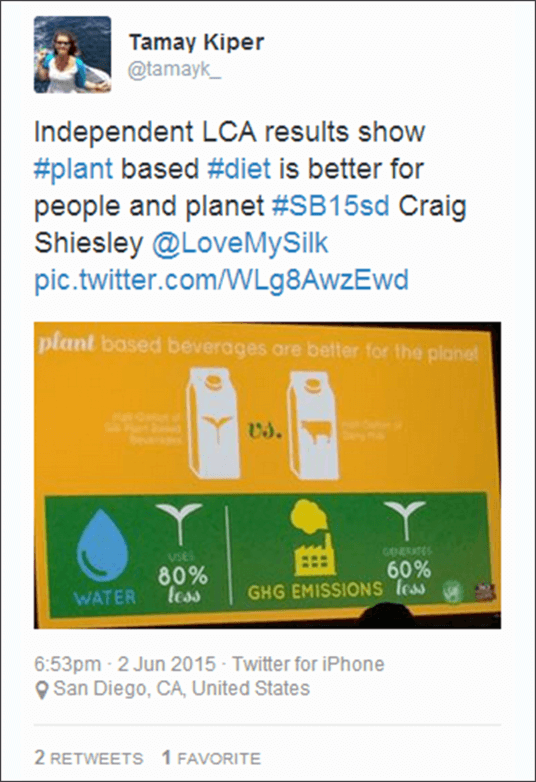 Attendees at the Sustainable Brands conference shared photos of the slides from Craig’s presentation on social media. Want a keynote presentation that truly captivates your audience?